Perfect for small dogs or for girls! 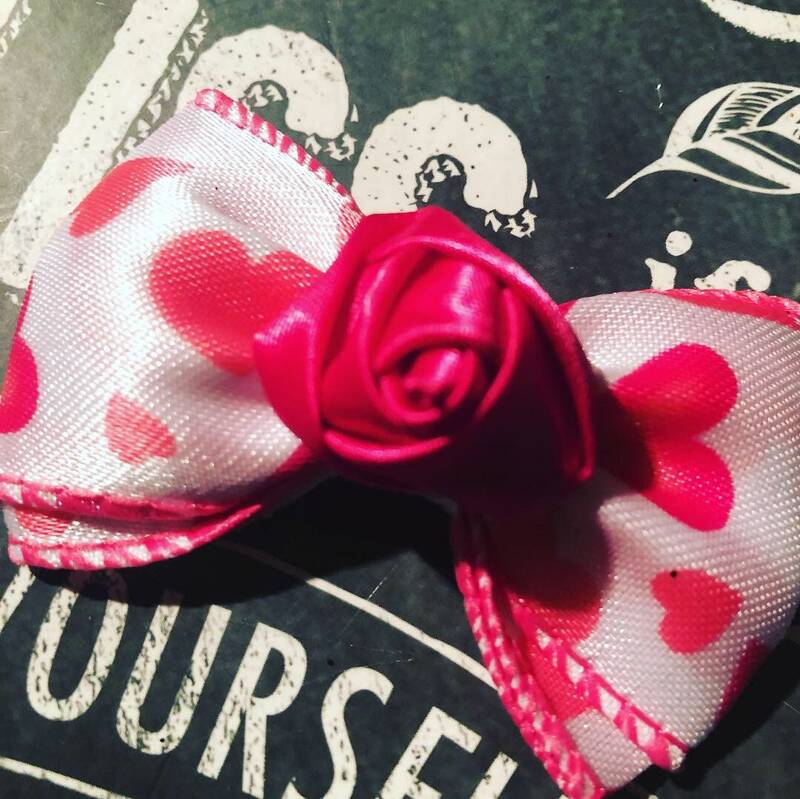 This bow is approx 2" and is made with beautiful satin hot pink heart Valentine ribbon with a beautiful hot pink satin rose bud centerpiece. 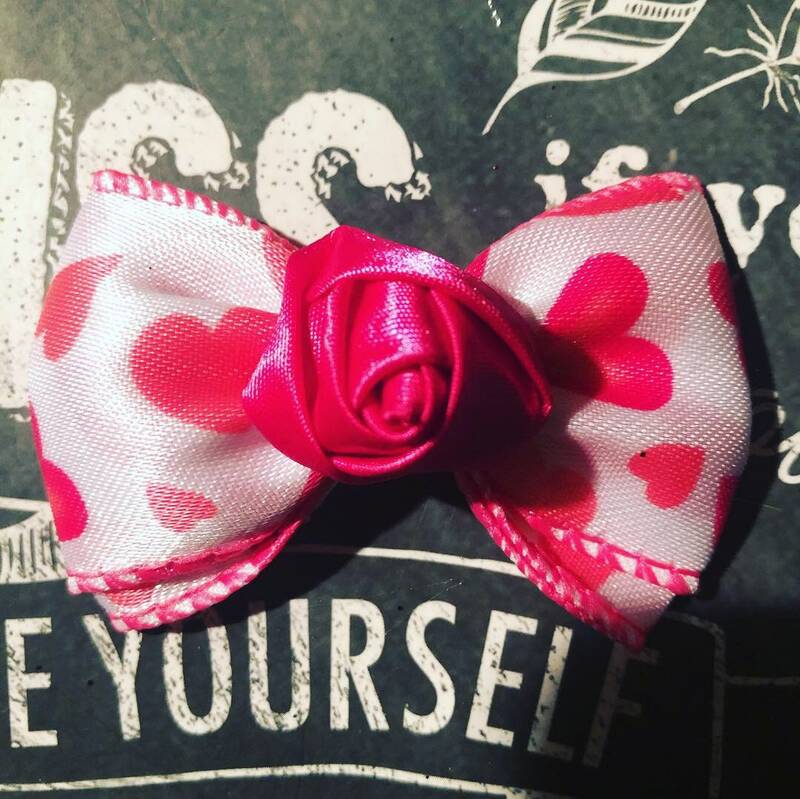 The bow can be added to a 1.5” french barrette, 1 3/4 alligator clip, Groomer's Rubber Band, or elastic for collars. These bows are sold individually. Please specify clip type when ordering.